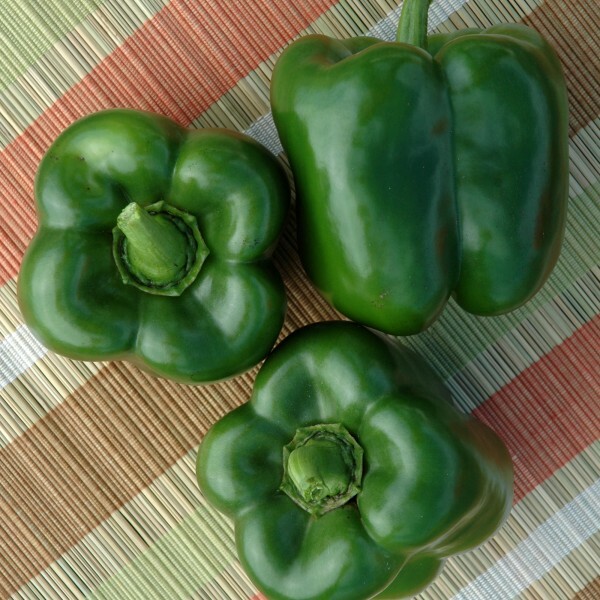 A main-season hybrid that develops a mid-sized plant, bell pepper PS 09979325 produces green-maturing-to-red fruit, targeted to the Eastern U.S. market. PS 09979325 can adapt to different planting conditions with good size, shape, uniformity and color. Approximately 74 days after transplant, the plants produce a high, concentrated set of firm, dark green, blocky fruit. It has high resistance to Tobamovirus race 0 and intermediate resistance to Bacterial leaf spot races 0-10 (X10R™). Key to Disease Resistance PVY = Potato virus Y virus Tm = Tobamovirus Xcv = Bacterial leaf spot Pc = Phytophthora blight Ma/Mi/Mj = Root-knot nematode TEV = Tobacco etch virus HR = High Resistance - The ability of a plant variety to highly restrict the activities of a specific pathogen or insect pest and/or to restrict the symptoms and signs of a disease, when compared to susceptible varieties. Varieties with a high resistance may exhibit some symptoms when specified pathogen or pest pressure is severe. New and/or atypical strains of the specific pathogen or pest may overcome the resistance. IR = Intermediate Resistance - The ability of a plant variety to restrict the growth and development of the specified pest or pathogen, but may exhibit greater range of symptoms compared to varieties with high resistance. Intermediate Resistant plant varieties will show less severe symptoms or damage than susceptible plant varieties when grown under similar environmental conditions and/or pest or pathogen pressure.